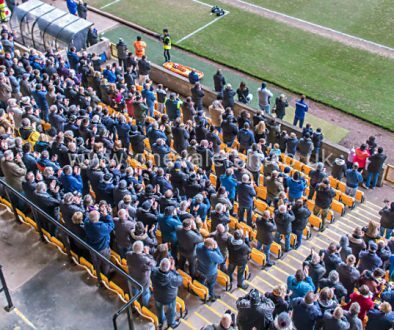 Port Vale enter administration for the second time in their history The club ask for Bob Young, Steve Currie and Gerald Krasner of Begsbies Traynor to be the joint-administrators of the club. BY says two new bidders are interested in Port Vale, taking the total of interested parties to six. It includes Staffs firm IPP who made their interest public earlier in the month. However, BY also announces that IPP have now withdrawn from the process. GK says two bids are in the frame. Keith Ryder is named as the club’s preferred bidder by administrators Begsbies Traynor. The Football League ask for more documents from Ryder’s business plan before the deal can be formalised. The SC issues a statement imploring fans not to panic over the news. Administrators and Ryder say the deal will be completed by end of June. GK said they had always been working towards completing a deal by the end of the month. 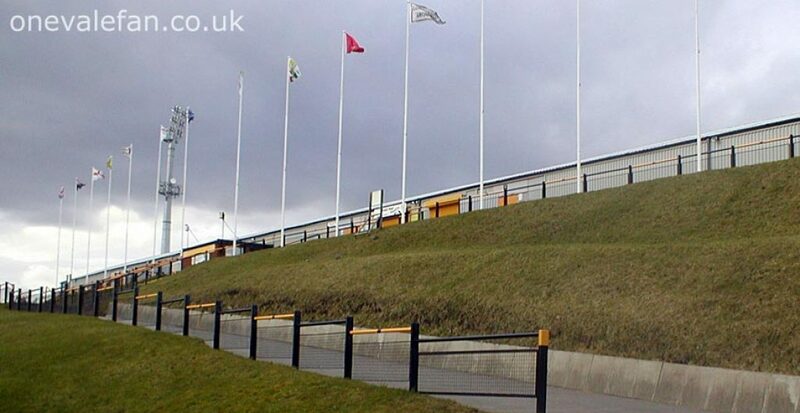 BY says agreement has been reached with the council regarding the commercial use of the Vale Park stadium. BY says this covenant was the reason for the FL delay but that documents have now been submitted to the FL. KR has signed the contract to complete his purchase of Port Vale, but the FL were unable to say when they will be able to ratify the deal. BY says Ryder’s takeover is on the brink of being approved. BY says that KR could complete his takeover today. KR says he is now just one signature away from completing his takeover of Port Vale. A Supporters Club statement express frustration over delays to the Ryder takeover and say that “time is fast running out” and that there are “serious questions to be answered” about the handling of the deal. BY tells the Sentinel that it is time for potential owner Keith Ryder to “put up or shut up” and that the preferred bidder has not yet lodged his payment for the club. BY says that if payment is not received by the end of the day (31st July) then the administrators will adopt “Plan B” and approach another interested bidder. Meanwhile, KR says he needs another 24 hours to complete the deal. The club’s administrators say that KR’s period of exclusivity is over and they are talking to other bidders although KR still remains a potential candidate. The existing CVA means that Vale would not suffer any points deduction if another bidder is accepted at this stage. 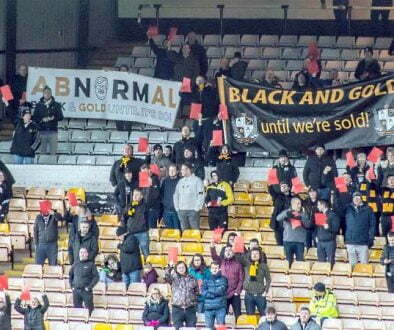 However, the future of the Vale Park players is less certain with most player contracts not signed (as they were expected to be completed when KR took over as owner). The Supporters Club announce that administrators have told them that KR has still not completed his deal. Former interested party Mo Chaudry rules himself out saying that £1.3m is too much to pay for a club in Vale’s position. Stoke-on-Trent city council also express “disppointment” over the delays. Meanwhile, another crisis rears its head with the news that Vale’s summer friendly games will be played behind closed doors due to the club being unable to carry out the “usual maintenance work.” However, the club statement assures fans that a safety certificate will be in place for the start of the season. The SC statement adds that the SC has the proceeds of the Vale Fighting Fund which could have been used to resolve this and that the club have never mentioned this problem during their regular meetings with the SC. The Sentinel reports that the club have reassured fans and the FL that the ground will be ready for the new season. Meanwhile, BY continues to be optimistic on the takeover saying that he believes either KR or one of two new bidders will take over before the season starts. Meanwhile, the SC announce a meeting with the club to discuss any help that can be provided in helping the club pass its ground safety certificate. Following the meeting, a club statement announces that fans will now be allowed into one of the friendly games – versus Tranmere after the SC’s offer of help. Micky Adams tells the Sentinel that he will be able to field a team against Burnley. There were fears that player registrations would be withheld after the delays to KR’s takeover but that is not the case. BY tells the Sentinel that a third bidder is poised to make a formal bid for the club. A SC meeting brings some rare positive news as Martin Tideswell’s blog posting explains. KR vows that he will complete the deal after “extreme family circumstances” caused the delay, there is go-ahead for the Roy Sproson statue, a temporary kit manufacturer and sponsor and assurances that the club will start the new season come what may. The Supporters Club have launched an urgent appeal for fans to help out with stadium work ahead of the new season. Perhaps unsurprisingly, there is *still* no update on KR despite his promise to deliver the funds within 24 hours. In other news, it increasingly looks like Vale are preparing to start the new season under the control of the administrators. The Sentinel reports that BY has amended player contracts so that they are more secure. And the Sentinel has a different spin on the ’emergency council meeting’ story (see 3 August entry) claiming that the meeting could be used to approve an alternative bidder if one is ready to complete their takeover. As the council have underwritten the administration they would need to approve any alternative takeover of the club. The players respond to the new contract offer and it’s not the news that BY and MA would want. The players express concern over the legality of the new deals and whether a new owner would declare them void. So, rather than signing the new deals, eighteen players decide to take legal advice from the PFA. The deadlock over players’ contracts drags on with the Sentinel revealing that a squad for the Capital One clash with Burnley will need to be registered by noon on Monday. The players are set to meet with the PFA to discuss the contracts. The Sentinel reports that the club are optimistic that players will agree to the new compromise contracts. Micky Adams reveals that restrictions will mean he can only register a squad of twenty players whilst the club remains in administration. In an interview with the Sentinel, BY says that a fourth bidder has shown an interest. Young says he will not be rushed into a sale as the club can still trade until April and that the door remains open for Keith Ryder. A tweet by the SC says that in a meeting with BY, the administrator told them that six bidders were interested in the club. A further joint-statement reveals that the number of interested parties has increased to seven. The club also met with Staffs Police for several hours to discuss the conduct of the former directors. In other news, OVF reveals that former CEO Perry Deakin is set to be a franchisee for the Chicago Rock chain. Another joint update from the SC and the administrators reveals details of the CVA and the welcome news that a date has been set for the unveiling of the Roy Sproson statue. The Sentinel claims that the administrators will reveal their second preferred bidder in a press conference on Tuesday but this is yet to be confirmed by the club. 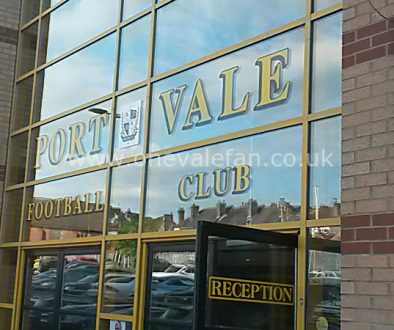 A joint press release by the Port Vale Supporters Club and the club’s administrators states that they hope the Port Vale takeover will be completed on November 20th. The Sentinel reports that Paul Wildes and business partner Norman Smurthwaite hope to complete their takeover within 24 hours. The Wildes takeover completed on the 20th November. Thank goodness!